Boards of Canada’s stunning ability to produce chillingly memorable atmospheres continues with resounding success on their fourth album Tomorrow’s Harvest, the Scottish duo’s first in eight years. Brothers Michael Sandison and Marcus Eoin practice extreme patience in their music, resulting in intoxicating soundscapes that range from the starry-eyed serene to the anxiously awaiting. Despite some instrumental fluctuations throughout their 17 years, like the incorporation of acoustic guitars on 2005’s The Campfire Headphase, Boards of Canada’s hypnotic sound is generally comprised of synth-based drones that twinkle freely over ambient samples that suggest an otherworldly yet ethereal feel. While it’s idealistic to expect Boards of Canada to exceed the prowess of 1998’s Music Has the Right to Children, considered a classic in downtempo ambient electronica, Tomorrow’s Harvest is a stunning success in its own right. Capturing the darkest, eeriest, and most cinematic elements of Boards of Canada’s sound, Tomorrow’s Harvest is impossible to forget once it sinks in, which for patient listeners will occur relatively quickly. Preceded by a clever yet uncharacteristic marketing campaign that received notoriety for its cryptic messages appearing everywhere from BBC Radio to their web site’s HTML code, Tomorrow’s Harvest was greeted with high modern expectations. It spawned a form of hype rare for an artist specializing in atmosphere and cohesion, rather than radio-friendly and star-studded hooks. Those worried that Boards of Canada were retreating to a simpler approach are immediately reassured with opening track “Gemini”, which begins with a faint synth pad that resembles ‘70s sci-fi in its cheesy glory. However, that nostalgic glee is interrupted by static-y IDM chops and an ominous synth arpeggio that creeps forward like a thief in the night; its menacing presence immediately confirms that Boards of Canada are operating at their best, which means the implementation of moody transitions that shock, awe, and send chills down the spines of listeners. 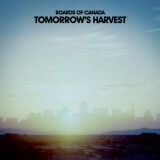 This is all apparent throughout Tomorrow’s Harvest, as it was on Boards of Canada’s best releases. Although hardly explosive, “Gemini” ably prepares listeners for the ambitious sprawl that is about to ensue, especially as its stammering synths lead into the hazy “Reach for the Dead”. The Wild West-inspired title of “Reach for the Dead”, along with the barren album art of its single, evokes a barren desert; the steadily climbing percussion does wonders in enforcing this desolate sprawl. As on many Boards of Canada tracks, the emergence of synth arpeggios precedes the entry of more vigorous percussive samples, which on “Reach for the Dead” show an enthused click-clacking that is accessible by Boards of Canada’s standards. It’s a rare sort of bright playfulness on Tomorrow’s Harvest, also found on the surprisingly fleet “Palace Posy”, another reprieve from the dark lull throughout Tomorrow’s Harvest. Toward its conclusion, “Palace Posy” incorporates chopped-up vocal samples that interlace hazily with the fluttering arrangements, like the slight sound of jumbled static on a television with poor service. The spacey arpeggio leading the subsequent “Split Your Infinities” blasts the listener into previous terrain, that of a desolate extraterrestrial wasteland with a habitat of sparse synth twinkling that develop into grandiose beauty after relatively skeptical initial inclinations. 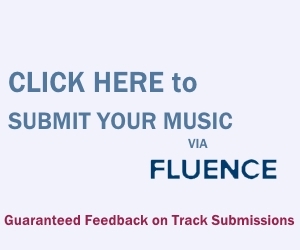 As opposed to the playful vocal sample static of “Palace Posy”, the conclusion of “Split Your Infinities” is marked by vocal static that is more menacing in tone. It’s an example of the subtle shifts that Boards of Canada execute to steer the album’s graceful flow. When dissonant intermission effort “Uritual” hits, listeners are well-prepared for an even darker string of finales. As for the darker touches on Tomorrow’s Harvest, which comprise the majority of the album, there are a plethora of stunners. It’s hard to look past “Jacquard Causeway” as an immediate standout, and a fine example of Boards of Canada’s developmental songwriting. While some tracks on Tomorrow’s Harvest sit idle and reap in the glow of their atmospheric construction, “Jacquard Causeway” goes places… big places. Various gentle synth layers topple over one another, a deep murmuring synth slowly laced over a chirpy lead that increases in complexity and wears a new mask every minute. When the sonic synth pad envelopes the background in the second half, the track’s grandiose appeal is fully realized. Similarly successful is the ghostly draw of “Cold Earth”, which ascends from a lively drum-n-bass synth accompaniment into a vocal sample-friendly thriller. More restrained yet equally captivating is “Nothing is Real”, which like “Reach for the Dead” sounds like it would be an apt accompaniment to Mars’ hazily red landscape. Drawn-out desolate synth pads and sporadically twinkling accompaniments comprise the majority of “Nothing is Real” and its follow-up “Sundown”; the two play like a suite to an undiscovered world. It’s the details within the production, as usual, that help elevate Boards of Canada’s already tremendous songwriting on Tomorrow’s Harvest. It’s the little things; the faint sound of a helicopter throughout “White Cyclosa” as keyboard droplets form puddles of synth-padded choirs, the sound of gushing wind on the minimalist “Collapse”, the ceiling fan panting on “Transmisiones Ferox”, the child-like vocal samples that produce brilliantly pop-inspired bursts toward the end of “Cold Earth”. These may seem supplementary, but their appropriateness within the duo’s constructed atmospheres always seem pinpointed to absolute perfection. Tomorrow’s Harvest has somehow matched, and perhaps exceeded, the lofty comparisons that come when an artist is reputed for being legends of their craft – in this case, downtempo ambient electronica. Tomorrow’s Harvest is one of those rare albums wherein taking a decade to complete makes sense. The intricate and otherworldly production, in addition to the duo’s stunning arrangements, makes Tomorrow’s Harvest one of 2013’s best electronic albums.